Section Chief: Richard L. Proia, Ph.D. The Genetics of Development and Disease Section seeks to understand lipid metabolism and signaling pathways. Lipid metabolism and signaling play key roles during organism development and homeostasis. When these pathways are disturbed, human diseases result. Our work is aimed at identifying the altered pathways in human disease in order to rationally develop new therapeutic approaches. Our scope includes lipid metabolism and signaling pathways affecting diabetes, cancer, and neurodegenerative diseases. How the levels of sphingolipids, lipid molecules that form cell membranes and transmit signals, are controlled in cells. How sphingolipids cause human disease when their metabolic and signaling pathways are disrupted. How to treat diseases caused by defects in sphingolipid metabolism. The goal of this research is to gain fundamental knowledge about important biological processes that will help us understand the basis of human diseases. This research will lead to the development of new therapies for human diseases. 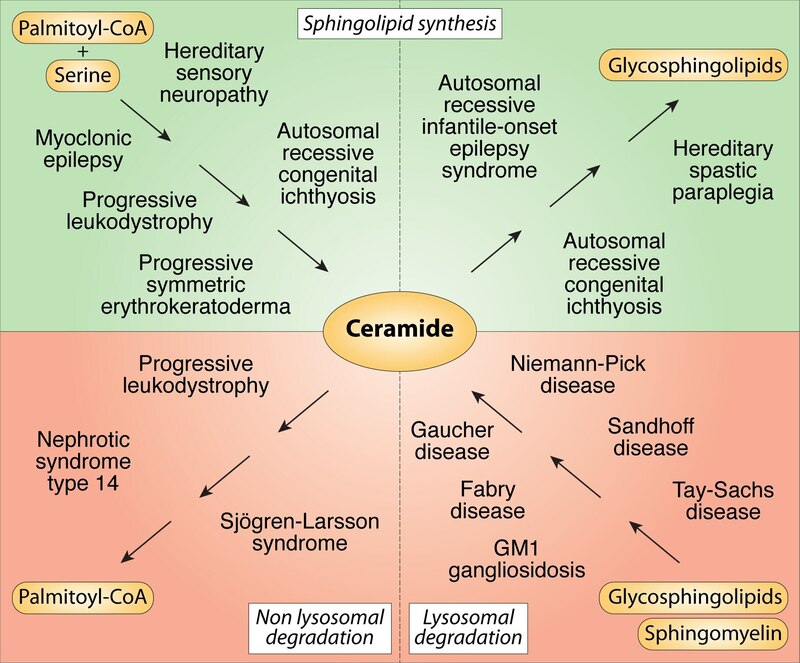 Human genetic diseases caused by mutations in the pathways for synthesis and degradation of sphingolipids.